It's fair to say Cristiano Ronaldo's didn't enjoy the greatest of returns to Madrid on Wednesday. Emotions got the better of Cristiano Ronaldo as Juventus were defeated 2-0 away to Atletico Madrid in the first leg of their Champions League last-16 clash. It was to be a nightmare night for the 34-year-old, however, with goals from Diego Godin and Jose Giminez giving Atletico a first leg Champions League lead. As he walked past the mixed zone, he held up five fingers again and muttered: "I have five Champions Leagues, Atletico zero". 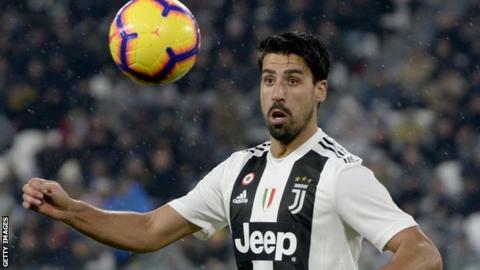 His main objective now is to win one with Juve, a task which becomes increasingly hard after Wednesday's loss in Spain. In an interview with Italian outlet CRC Radio, Atletico club president Enrique Cerezo said Ronaldo "had not won five, just three. he did not win the two against [Atleti]". Los Blancos went on to win 4-1 after extra-time with Ronaldo - who had played poorly - scoring a 120th-minute penalty to make it 4-1 as he ripped off his shirt in celebration. "I have five, Atletico zero", he said, as quoted by ESPN, while making the gesture. "It's not a nice gesture, I'll admit, but I felt the need to do it. It wasn't aimed at the other team, I was turning towards our own supporters", Simeone was quoted saying. "I can only apologise if anyone was offended, but I did it from the heart". "We got important players back like Koke and Costa, we were able to play an intelligent game against a huge team with very strong players".